If you are entering the autonomous vehicle competition (AVC) for the first time, this information from last year's participants may help you get started. 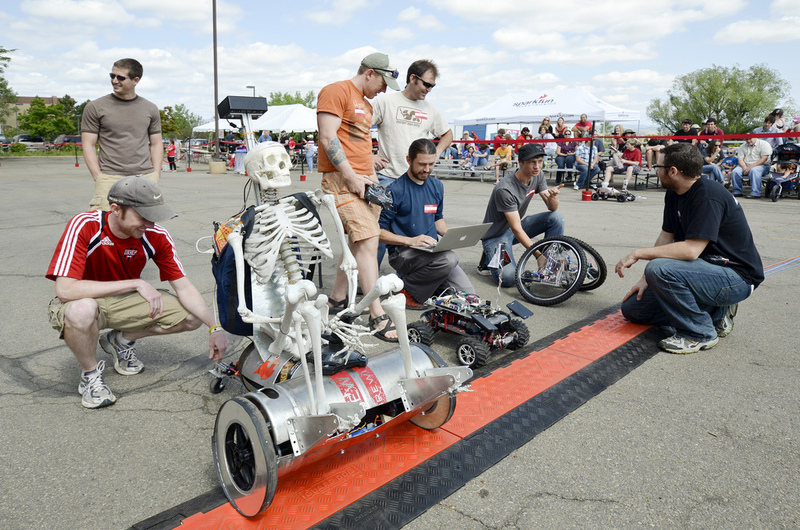 The SparkFun Autonomous Vehicle Competition (or AVC) is rapidly approaching - June 21st is just around the corner. Today, we've got some helpful information for folks new to the competition. When we say there are all types of vehicles, we mean it. Each year we send out a post-AVC survey to help fuel ideas for improvement. As one participant put it, “I like how the AVC is slightly different each year and each year I think it gets better!” A fair number of participants each year are new to the competition (30% of participants were first-timers in 2013). Last year we asked participants to give us a list of the major parts they used in their vehicle (SparkFun or otherwise) and 31 participants responded. And similar to the whole field, about two thirds participated in the ground competition and one third aerial. The controller most often used in ground vehicles was an ArduPilot (ArduPilot Mega 2.5) (30%). The ArduPilot is an assembled PCB with an accelerometer, gyroscope, magnetic sensor, pressure sensor, GPS connector and current sensor. Multiple teams used the Pro Mini (for visual sensing) and various Arduino boards. Some of the other controllers mentioned by ground participants included the BeagleBone Black, mBed, PIC32, Lego NXT 2.0, Teensy 2.0++, Parallax BASIC Stamp and PCDuino. Here's a look at the course for this year's race. The platforms used for ground vehicles were all over the map, which is one of the reasons the competition is so fun to watch. A handful used an RC car, and a few used the HPI Savage Flux Truck. Others included: Duratrax Vendetta, Traxxas 2WD, Hobby King car frame, Lego NXT 2.0, Lynxmotion, Traxxas Slash 2WD, Traxxas Rustler, and a Wild Thumper. Remember, this year there will be a white chalk line for bots to follow, which provides an additional method of navigation. 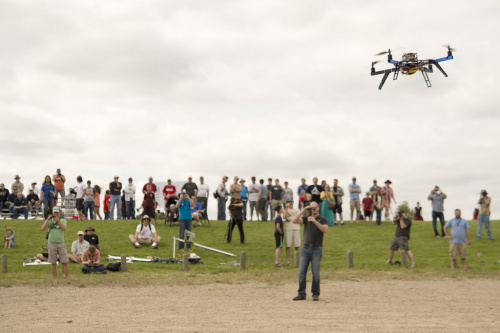 Finally, for aerial platforms, the controller most often used was the Ardupilot (ArduPilot Mega 2.5) (4 out of 5, or 80%), although not necessarily exclusively. The Pro Mini was also frequently used for visual recognition, and the MatrixPilot for IMU (inertia). So if you're toying with the idea of trying out autonomous robotics, hopefully this gives you an idea of where to start.